Let’s do a quick review to begin. Part 1 in this series discussed how to pick an appropriate username. Part 2 described what photo(s) to use for your profile. Part 3 was all about what to include in your profile. Last week’s installment, part 4, taught you how to write your first message. Now we’ll wrap up the series by offering tips on how to carry your conversations forward. 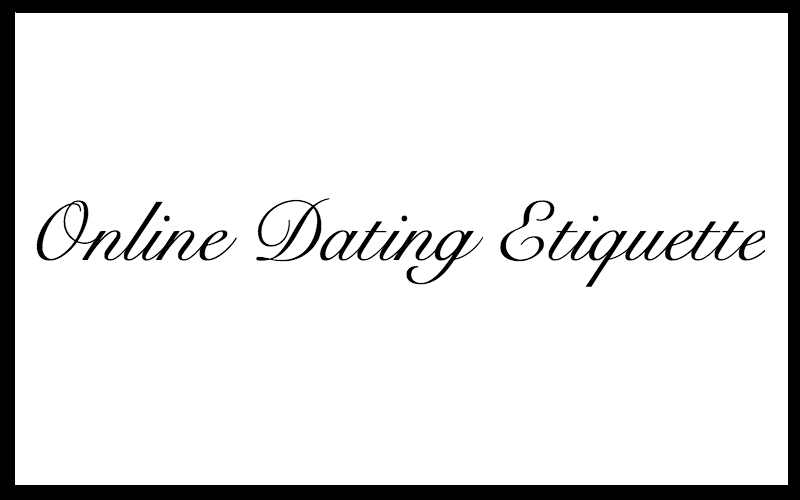 But before we go there, I think I need to relate one vital, all-encompassing tenet of online dating – it’s much, much easier to do something wrong than to do something right. Seem a little unfair? Maybe it is. This much is true, however: people tend to pass over members’ profiles for one thing wrong than they stay for one thing right. Like we said earlier, probably unfair. Say you are looking for someone who games for a couple hours per day. After your matches filter onto the screen, you notice someone who took a fuzzy profile picture. Boom – you’re no longer looking at it (or his or her profile, for what that’s worth). Now back up a minute. What if this person checks off 9 of your 10 boxes but you never learn because the photo is terrible? Would I blame you for passing it over? To answer the first question, that is the importance of selecting a great profile picture. The answer the to second question? No, no I wouldn’t. That’s the heart of this entire series: we never want you to be passed up because of one little glitch in the system, one online dating etiquette faux pas. Online dating isn’t easy. It’s a hard terrain to navigate. People who aren’t familiar with the process (and it is a process) may think you simply join, throw up a picture, and start messaging. There’s much more to it than that. What you write and upload matters. How you build your profile matters. Why? Because you matter. Your profile should matter too. Now onto how to carry the conversation. To start, I know you know how to carry a conversation. I’m not walking down that road one step. What this post is about is to offer insights and some Do‘s and Don’t‘s regarding carrying your conversations. Like I said above, it’s much easier to do something wrong than to do something right, and I want to make sure that you have some advice at your disposal. Sending a message (or replying to one from another member!) is the first step. This may sound condescending, but I’m saying this because I want you to be proactive here. Waiting for someone to message you is a passive approach that typically does not lead to success. It’s statistics: members who subscribe have a greater chance at meeting someone than members who wait to be contacted. So you’ve either sent the first message or you’re replying. What to say? Remember, it’s harder to do something right than to do something wrong. Read the do’s and don’t’s below to help you write your messages. Here’s the key takeaway upfront: less is more. Do thank them for sending the message. This is the first thing you should do. It’s also a phenomenal ice breaker. Don’t give one word answers and then hit the send button. Why even reply? You won’t be advancing the conversation. Do ask questions and get to learn about the other person. Don’t drop ten questions and expect the other member to respond. This is too much too quickly. Do comment about content from his or her message to you. What the other person writes matters, so use it to vault yourself into the next message. Don’t be pushy. If he or she wants to keep the tone casual and light, mirror the tone. Do be ok if the next message takes a few days (or a week!) to be returned. Sometimes a message won’t be returned, but some people only check their profile once a week because they have a busy period at work or that is simply how the want to do it. Don’t get upset if the returned message takes some time to get to you. Like above, some people don’t respond right away. Don’t hold it against them. Continue your messaging with these guidelines above, and you will be in excellent shape. Everybody is different. Cliche aside, some people respond quickly and others after a little while. Some people like to dig deep early; some people like to stay casual for long time. Either way is totally normal. Good luck messaging!